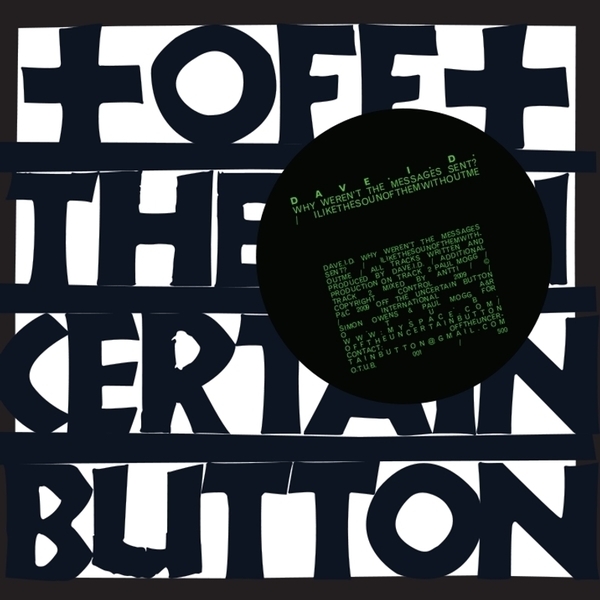 This is the first release on the Off The Uncertain Button label, a new label owned by director / designer Simon Owens, and Paul Mogg (Moon Unit, DFA / Supersoul). 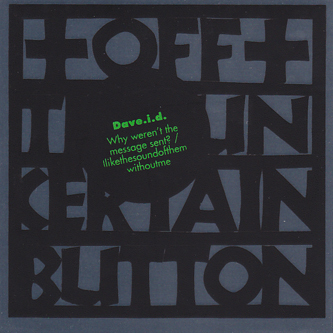 Dave I.D. is an emergent talent from South East London whose unusual, leftfield electronic pop is sure to make waves amongst fans of the darker, more industrial end of that spectrum. An intriguing debut to say the least, this seven-inch is the first in a series of double A-side singles that are destined to culminate in a compilation CD set for release in Autumn, but if you want the wax, be wary: it's limited to 450 copies for the world.